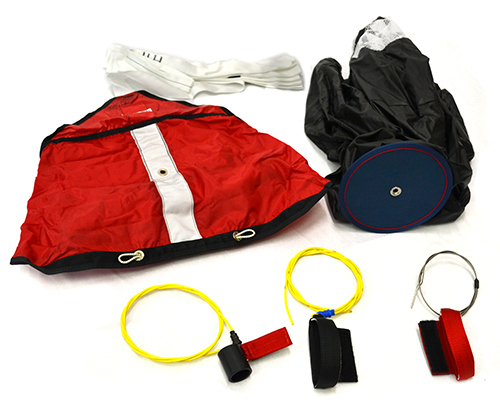 Fire Tandem system was designed to perform a tandem parachute jumping of instructor with a passenger. 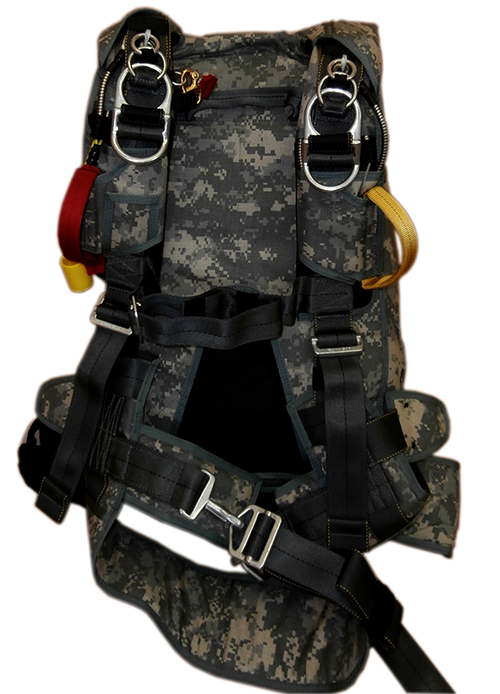 Adjustable harness system of instructor and passenger allows to accommodate comfortably different sizes of parachutists. 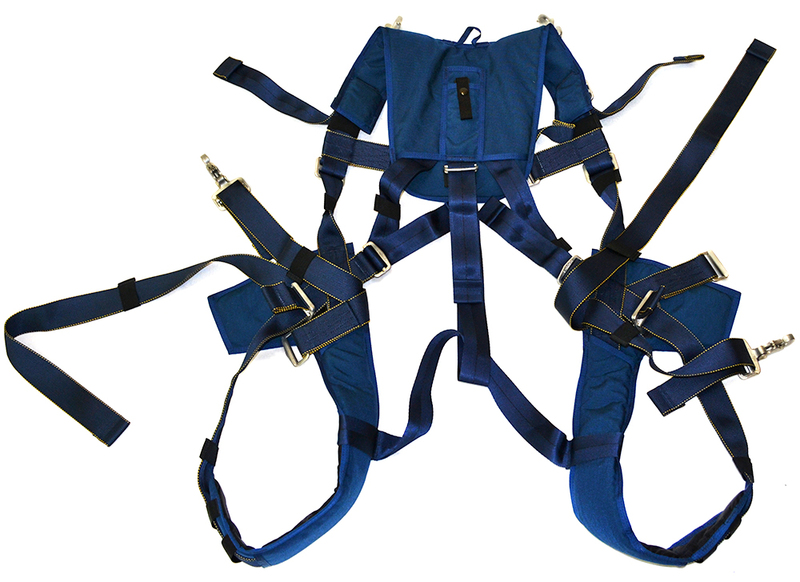 The passenger harness is attached to the instructor's harness with 4 snaps, the total strength of more than 7 tons, providing a secure and comfortable attachment. Drogue can be released by a main or secondary release to open the main. Wide dimensional range allows you to choose the container for any of the tandem canopies on market. 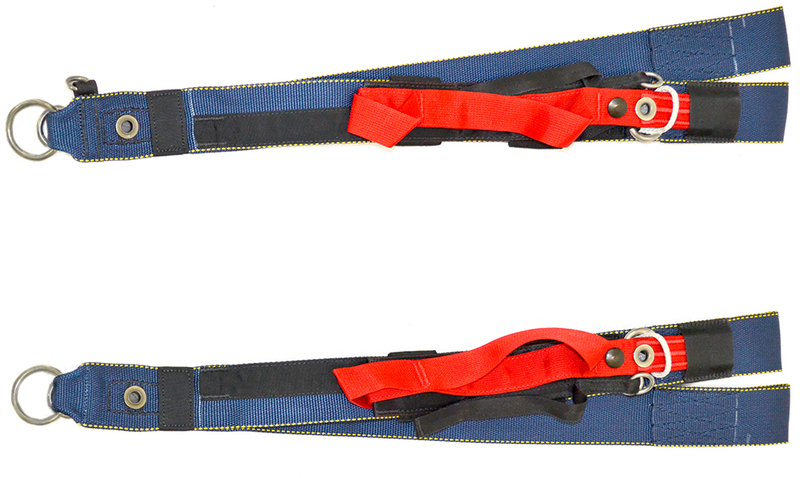 Tandem main risers with two pairs of toggles - steering and flaring, without velcro. 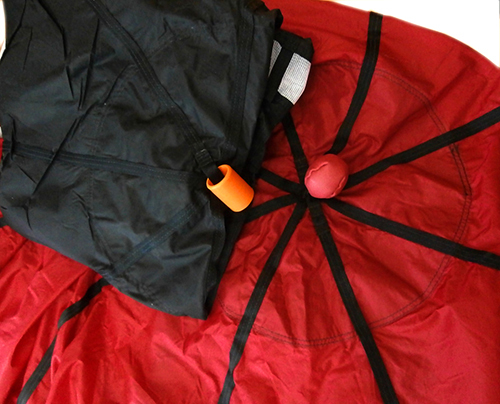 Flaring toggles can be removed, if the canopy does not have the second brake-line. 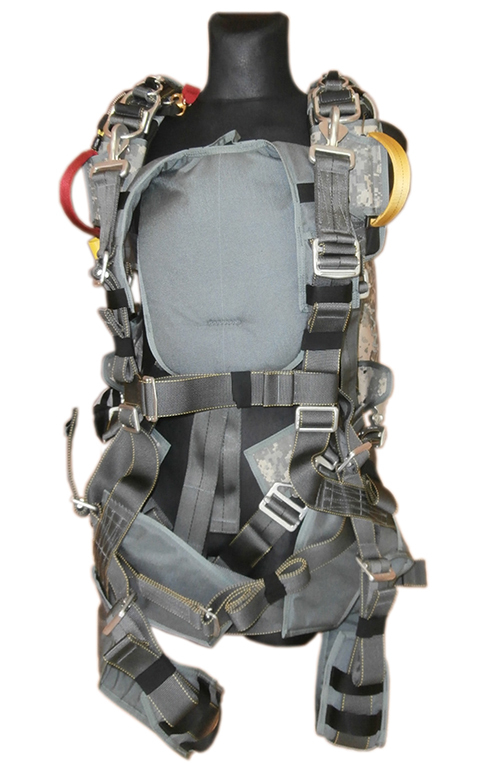 Tandem Passenger Harness has Sigma-like construction with variable-length leg pads and Y-mod. 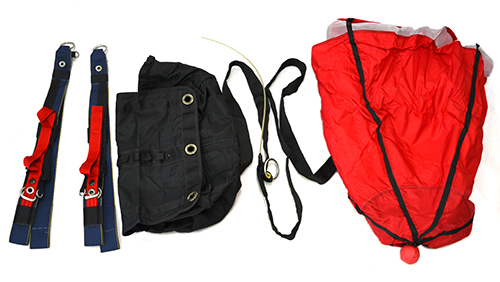 RSL is included as standard. 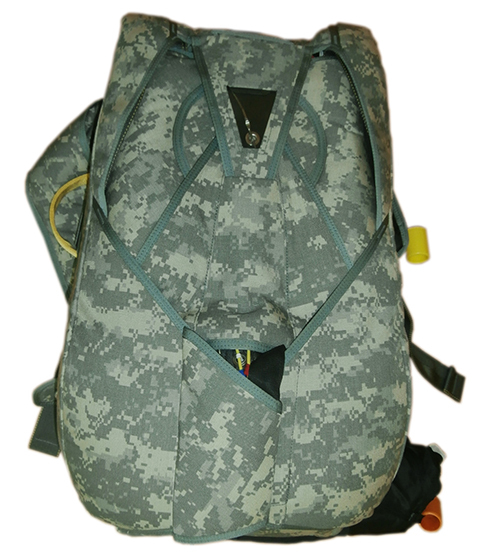 DRD (Direct Reserve Deployment) system can be installed. RSL or DRD carbines can be made out of Brass or SS metal. 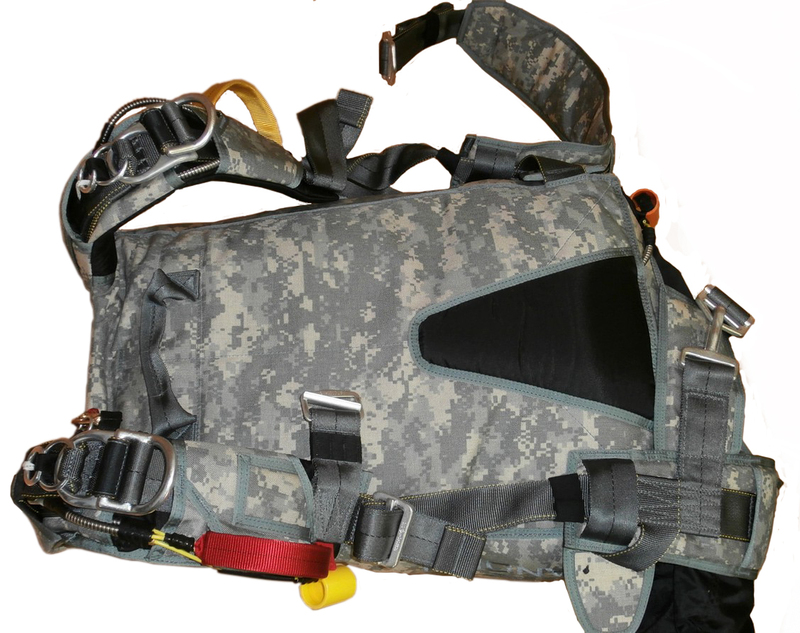 Hook-knife and airsick bag can be placed on the passenger harness. It facilitates control of AAD switching on/state and checking the reserve pin position especially onboard. 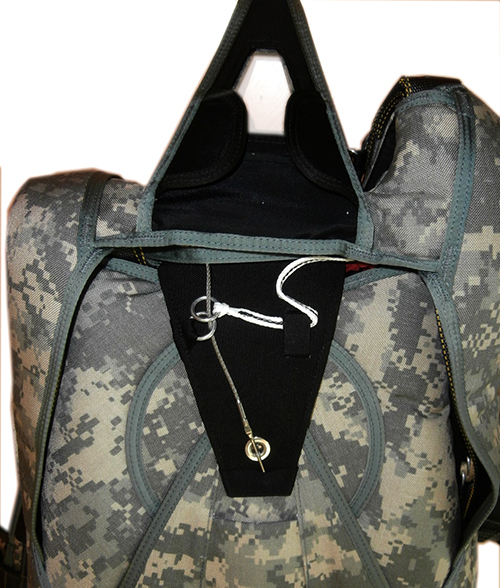 By special order, we can produce a custom container for extra-big canopies (400+ ft square), used by the military. 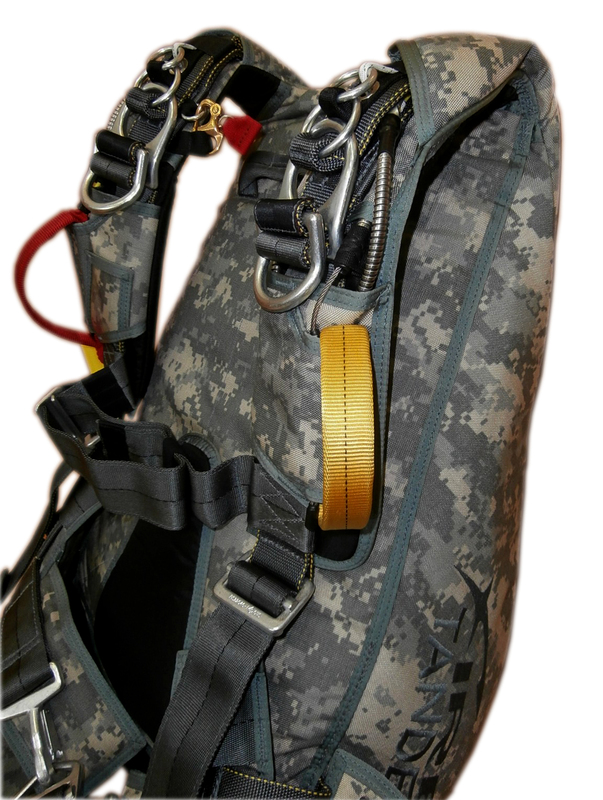 Collapsible main drogue, main bridle and deployment bag, main risers with toggles, cutaway handle, reserve handle, reserve PC, reserve bridle and deployment bag, reserve toggles, RSL, passenger harness, instructor harness, container, main and reserve release handles.